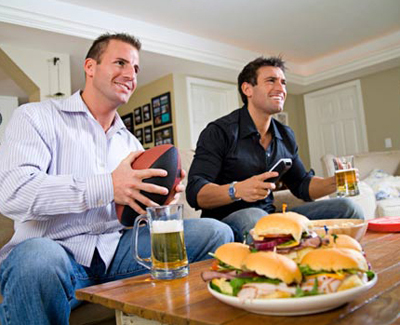 Guys night mean different things for different people and there are several things men do during a guys night out. Some want to get away from the boring daily work life or takes some time off family life hangout with guys only. 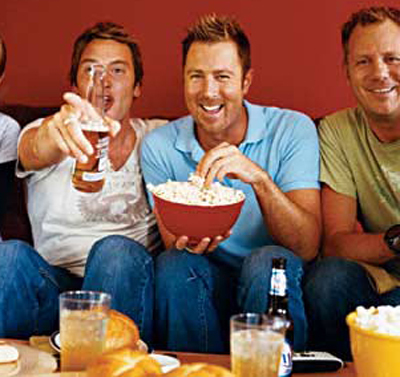 Whatever be the reason, if you plan for a boys night then Yoovite.com has an online invitation tool by which you can invite your best buddies to be night guys. The venue can be a hotel or beach resort or your house. It is always better to be in a place where the men can have their freedom. So, if you are planning guys night in a place that is away from your home, then you better book some resort for a day or two. The activities vary depending on the occasion and interests. Sports, especially cricket is the weakness of most Indian men and if cricket or football is on TV, then as the night guy, you should manage it around the tournament. Make sure that you have paid your cable bills on time and also ensure that there is a generator to take care of power cuts. Yet another addiction of guys is video games. Usually FPS, Racing and Strategy Games are preferred. You can play Halo, Call of Duty, Age of Empires, Quake, NFS etc. You can arrange the couches in front of the TV or computer monitor and have your friends sit and play. Card games such as Rummy and 28 are very famous among guys. It can be played for hours and are very addictive. If you are playing for money, make sure that it doesn’t end in a quarrel. It is much better to play for bets and fulfill the bets later on than paying money immediately. Or play for free. It’s all about action and sci-fi. Get the best action and sci-fi movies you have seen or wish to see. Getting Bluray would be a great experience if you have a large plasma TV. Get Indiana Jones, The A-Team, Star Wars, Superman and so on and spend your boys night out in fun watching the adventure and action. Guys talk about a lot of things but usually it is about ideas. With a couple of drinks, most men start creating ideas about new enterprises, technologies, movies and so on. And they also advise each other about career choices, education etc. Talking about past and present girlfriends is another type of discussion that guys love to take part in. You must get copious amount of snacks such as cashews, banana chips, almonds, bhujia, seva, Lays, Kurkure and so on during gaming, match watching and movies. You can buy pizzas, steaks, roti and curry, biriyani etc. for main food. Get sufficient amounts of beer and stuff your refrigerator with it. In addition, get couple of bottles of whiskey, vodka, rum or brandy depending on your common tastes. Arrange cigarettes and cigars for those who smoke as well.